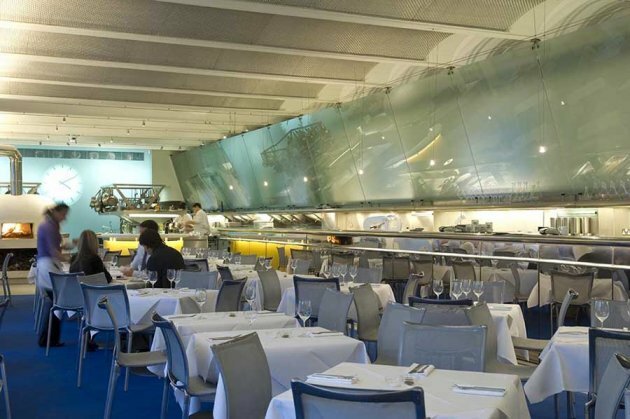 The River Café, one of London’s most celebrated restaurants, opened its doors on October 6th after a £2 million redesign by Stuart Forbes Associates and Richard Rogers. 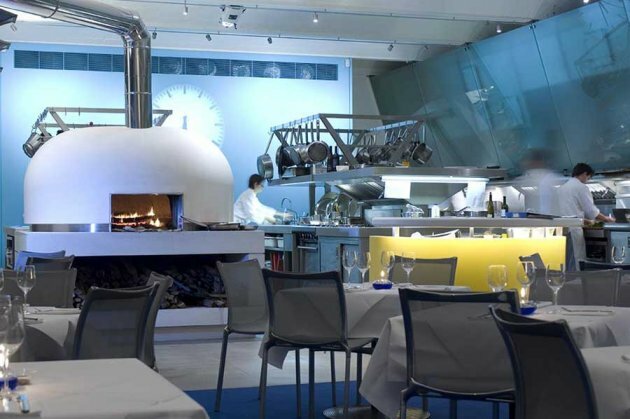 Following a fire earlier this year, co-owners Ruth Rogers and Rose Gray commissioned Stuart Forbes and Richard Rogers to design the space with a new open kitchen, private dining room and cocktail bar. 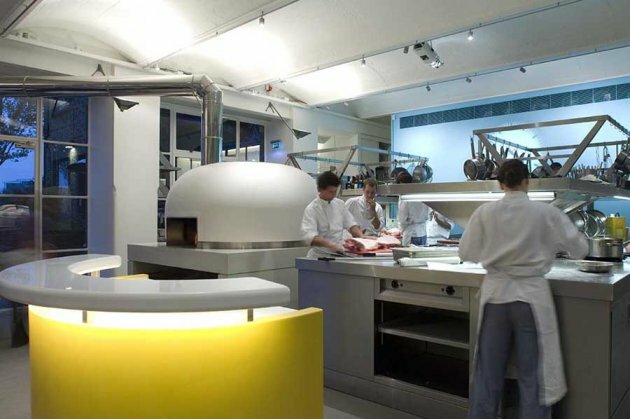 “The dynamic relationship between the chefs, the kitchen and the public is a focal point of the design” says Stuart Forbes. 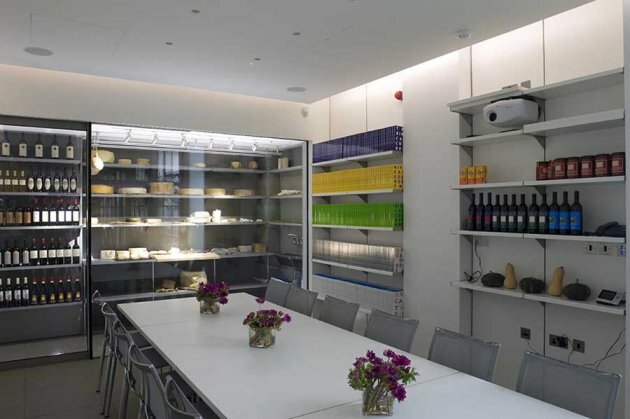 Significant additions also include a kitchen table within the working kitchen zone and a glass enclosed cheese room based on a classic Italian design. 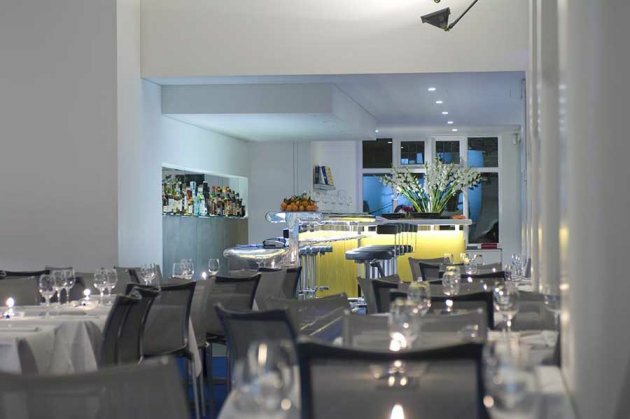 The kitchen is now completely open to public view, enabling diners to observe chefs in action. 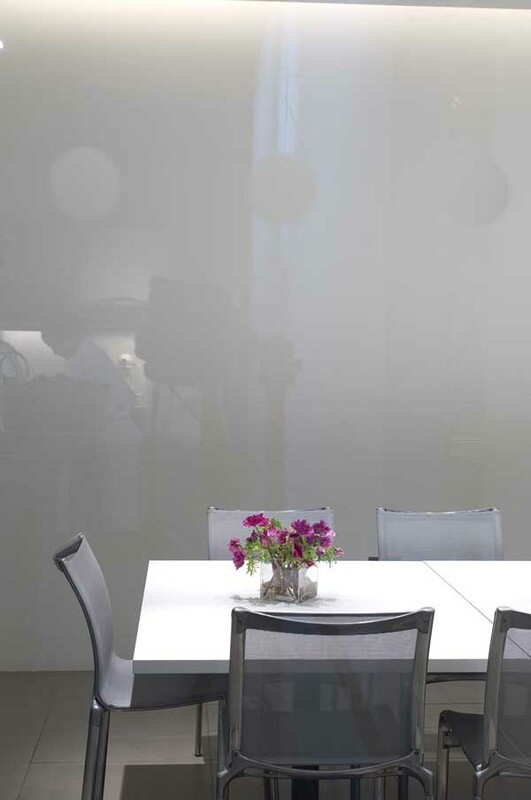 A notable addition is a new wood burning oven, dominating the dining room and kitchen. 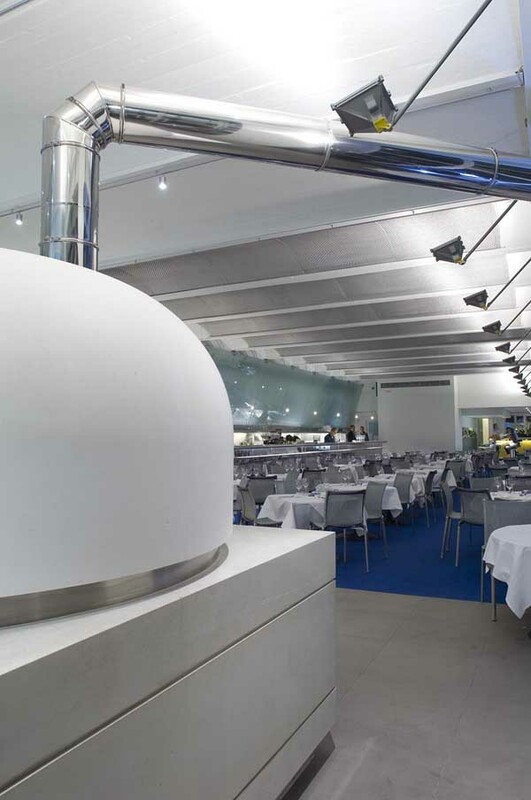 Manufactured by the Italian firm of Valoriani, this type of oven – made in Reggello, in the hills of Tuscany 25 km southeast of Florence – is key to the preparation of The River Café’s many dishes. Visitors familiar with the restaurant will also find that a new reception desk has been introduced: constructed of vivid yellow ‘Corian’ and dramatically top-lit, this new area is located next to The River Café bar, which has now been adapted and enhanced with a new back-lit bottle display. Behind the scenes, the bathrooms have been re-planned and reconstructed, with fluorescent primary colours and significantly increased space.